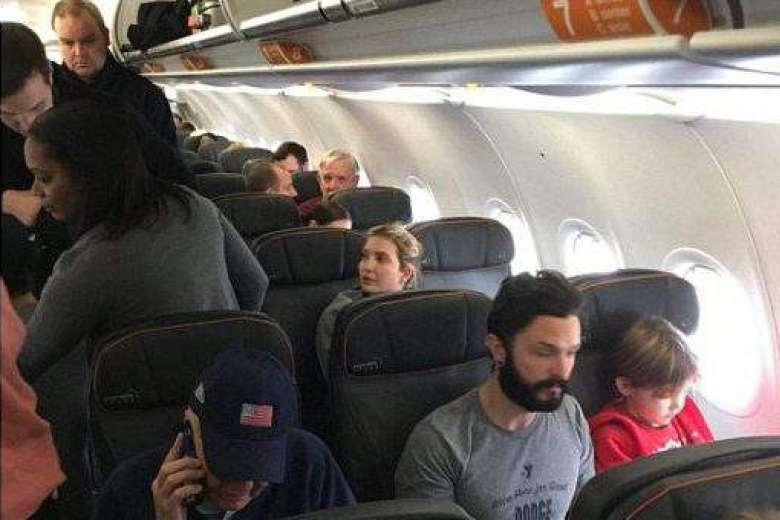 A JetBlue airline passenger, who media outlets and a witness described as making angry remarks at the sight of Ivanka Trump on his flight, was removed from the plane on Thursday by the airline. JetBlue Airways Corp confirmed in a statement that a passenger had been removed from a flight set to depart from New York's John F. Kennedy International Airport, but provided no information on the incident. Another passenger on the flight, Marc Scheff, said that when the man saw President-elect Donald Trump's daughter Ivanka, he"did a double take and said 'Oh my God. This is a nightmare!'" "The decision to remove a customer from a flight is not taken lightly," JetBlue said in a written statement. "In this instance, our team worked to re-accommodate the party on the next available flight." Reuters was not able to identify the passenger who was removed. A Twitter user cited by TMZ, Matthew Lasner, said his husband was going to confront Ivanka Trump and her husband, Jared Kushner, at the airport. 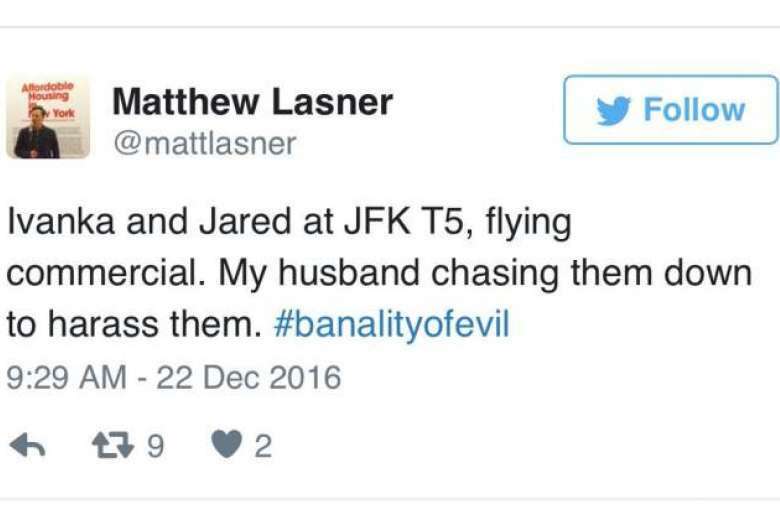 "Ivanka and Jared at JFK T5, flying commercial," wrote Matthew Lasner (@mattlasner) in the since-deleted tweet. "My husband chasing them down to harass them. #banalityofevil." Lasner, a professor at New York's Hunter College, did not respond to requests for comment directed to his Twitter account, which has since been taken offline, or to messages left at his office or sent to his Facebook account. Scheff, who told Reuters he was sitting in the row in front of Ivanka Trump on the flight, which was set to take off for San Francisco, said of the passenger who was later removed from the flight, "He started shaking." Scheff, 40, added that after JetBlue staff approached the man to "make sure he was calm," the passenger said, "They ruin our country, now try (to) ruin our flight!" Scheff said the passenger was "clearly agitated" but did not"scream or yell." Ivanka Trump was en route to Hawaii for a vacation with her family, according to an ABC News report on the incident. The Trump transition team did not immediately respond to a request for comment. Donald Trump and his family are spending the Christmas holidays at his Mar-a-Lago resort in Palm Beach, Florida.